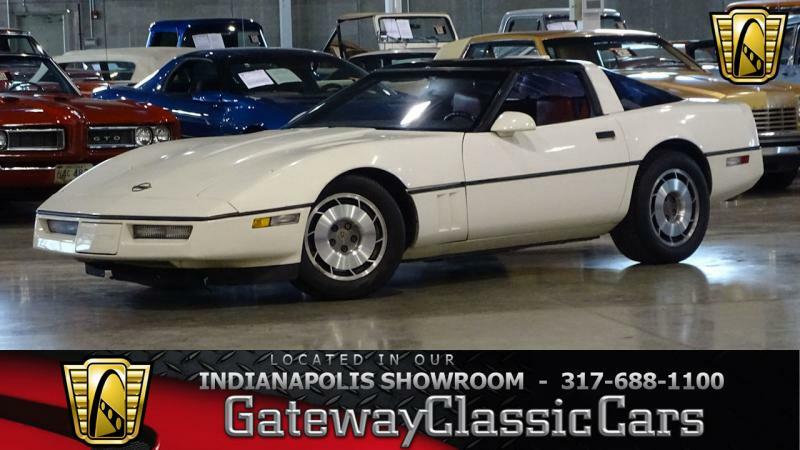 Gateway Classic Cars is very pleased to present this 1987 Chevrolet Corvette in our Indianapolis Showroom. 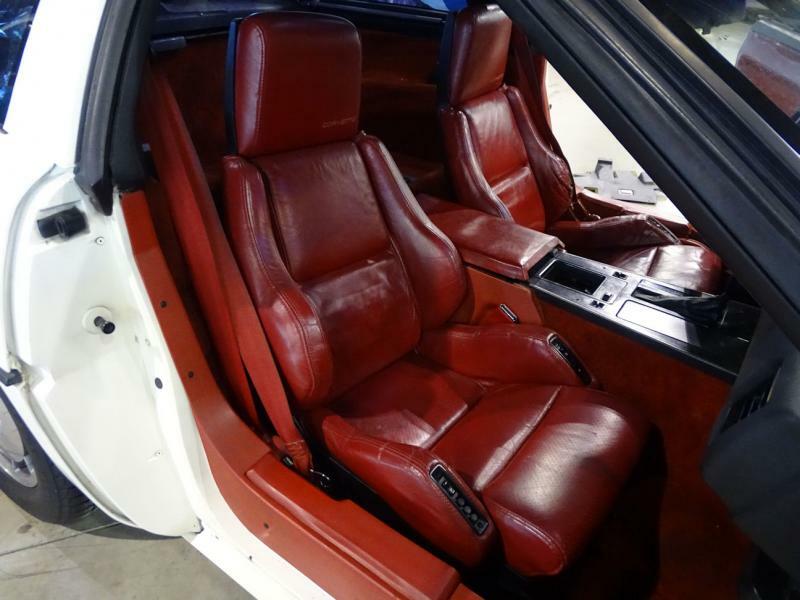 White with a red leather interior and the 5.7L V8 under the hood, this car is the quintessential American car of the '80s. 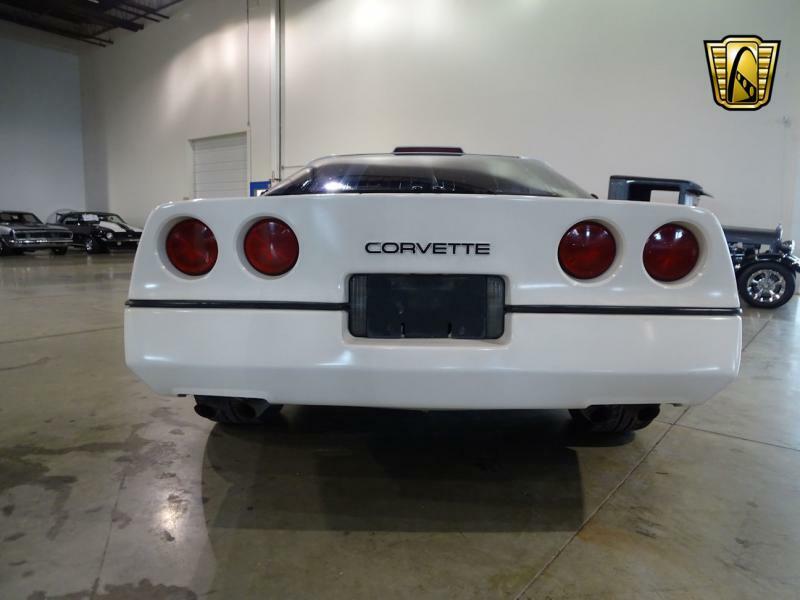 The car features a digital instrument cluster, power steering, power brakes, air conditioning, tilt wheel, power mirrors, and the aluminum alloy wheels familiar to all fans of this era of Corvette. The glass targa top is removable, and easily stowed in the rear of the vehicle under the hatch. This vehicle has one owner since new and came to us as part of a collection of over a dozen vehicles. Make sure not to miss out reliving the glory days of the ‘80s! 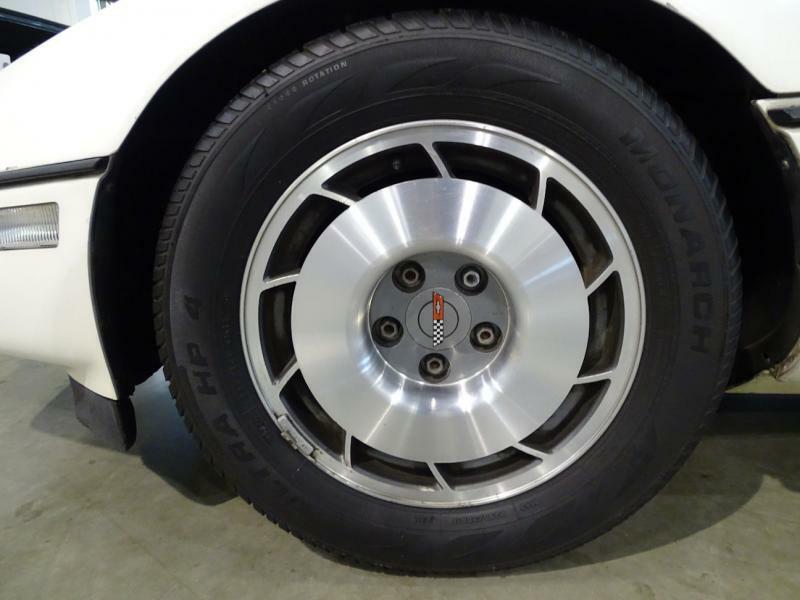 Be sure to visit our main web page, www.gatewayclassiccars.com where you can view 100+ pictures, and a short video of this amazing car in action. Along with all the rest of our fantastic inventory in this and all of our other showrooms! 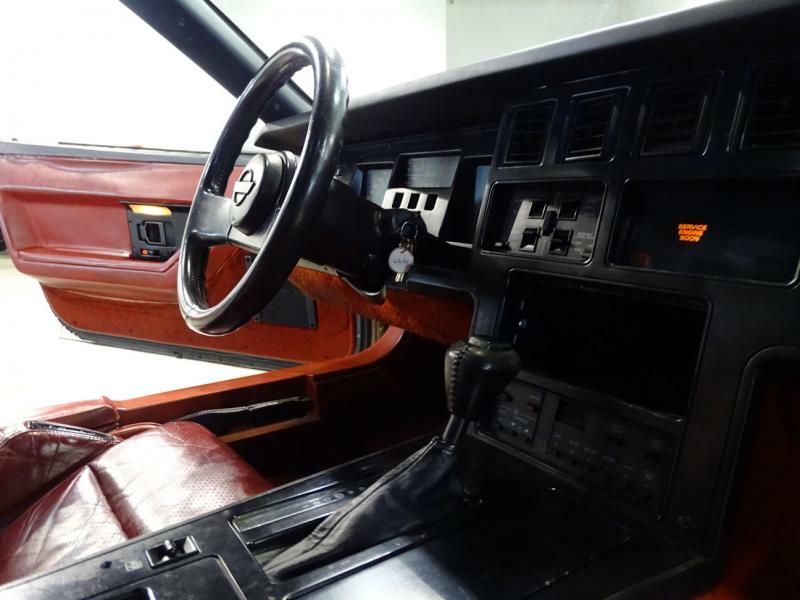 Better yet, stop by our Indianapolis showroom and see the car in person! We’re located at 4400 West 96th Street, Indianapolis, Indiana. We’re available Monday thru Saturday 9am to 5pm EST. Contact us directly at 317-688-1100. We’ll see you on the showroom floor! Asking price: $16,995 - Get an Auto Loan in 1 Minute!